Construction sites are among the most dangerous places to work, and workers’ compensation insurance is required of employers in order to protect injured workers, regardless of fault. However, there are several instances in which further compensation may be at stake, such as the malfunction of work equipment due to a manufacturer’s error.  The attorneys at Argyropoulos and Associates LLC, can investigate your injury to identify all responsible parties. We are passionate about helping workers collect the compensation necessary to restore and maintain the best quality of life possible following an injury.